Klettersteig is the German term for Via Ferrata, popular mountain routes equipped with fixed cables, ladders and bridges. 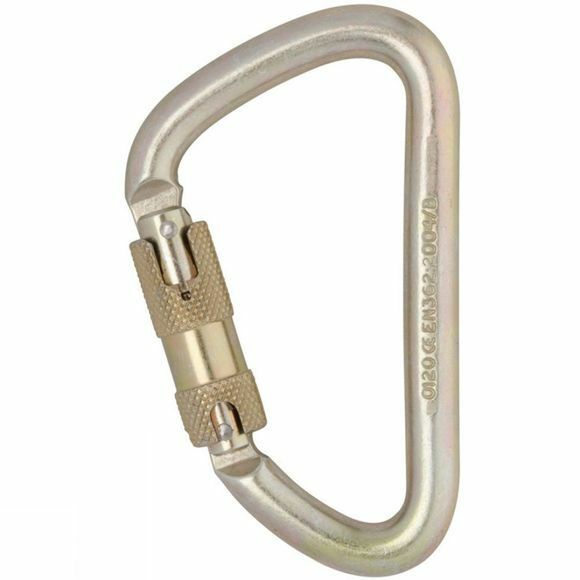 This 12mm Steel Klettersteig KwikLock ANSI biner from DMM is a great option for your Via Ferrata kit, it has a generous 25mm gate opening making it easy to clip onto the safety cables and attachment points. The large internal space of the biner makes it also well suited to rigging scenarios, its steel construction makes it very tough and the zinc plating gives extra corrosion protection.